Valena has over 20 years of experience in the financial industry working with businesses across various industries. As a vice president and business banking relationship manager for Fifth Third Bank, Valena is focused on helping her clients in the $2-$20 million revenue space grow their businesses by providing sound, consultative advice. Her goals is to add value and deliver solutions that are aligned with her clients’ unique needs. 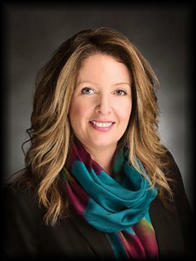 Valena calls Louisville, KY home and moved to the area from Cincinnati, OH with Fifth Third Bank in 2004. Valena is a U of L Cardinal fan who enjoys cooking, great music, horseback riding, and hiking. In her spare time, she loves to travel.